The Belfast City Hall is home to the Belfast City Council. The plans for the building were laid out in 1888, the same year Queen Victoria gave Belfast the city status. But the construction works started only 10 years later. It was designed by English architect Sir Alfred Brumwell Thomas who also supervised the construction works which were finally completed in 1906. The Belfast City Hall was built on the site of the former White Linen Hall. The Titanic Belfast is one of the most impressive modern buildings in the Northern Ireland’s capital. Located on the Queen’s Island, the building is a museum dedicated to the city’s maritime history and of course, the RMS Titanic which was built on the same site by the Harland & Wolff shipyard over 100 years ago. The museum building was completed on the 100th anniversary of Titanic’s maiden and unfortunately, the last voyage. The Titanic Belfast was designed by the Eric Kuhne and Associates and Todd Architects. The Lanyon Building is the main building of the Queen’s University Belfast. The latter traces its origin to the foundation of the Belfast Academical Institution in 1810 but the present-day university received a charter three and a half decades later as the Queen’s College, Belfast. Soon thereafter, construction works began and the Lanyon Building was opened in 1849. It was named after its designer and chief architect, Sir Charles Lanyon who also designed many other prominent 19th century buildings in the city including the Belfast Castle and Linen Hall Library. 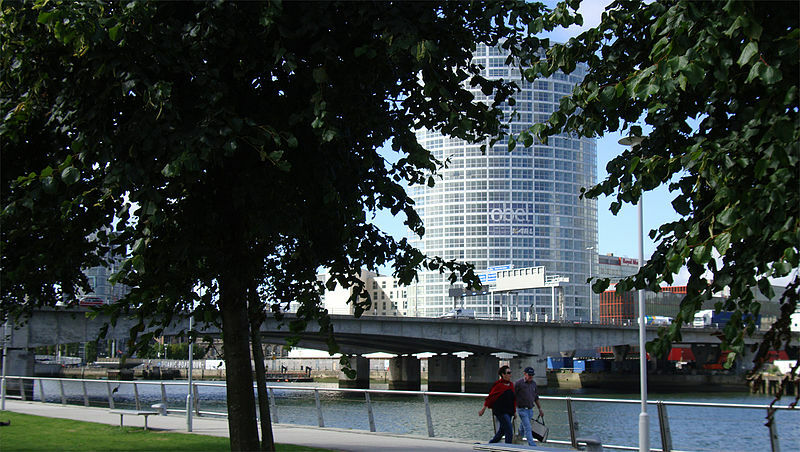 The 279 foot tall Obel Tower is the tallest building in both Belfast and Northern Ireland. It superseded the previous record holder – the Windsor House for 16 feet. Designed by Karl Group, the skyscraper was scheduled to be completed in 2010 but received its first occupants one year later.